I read free books. I read books that I buy. I read magazines. I write a column, Something About Nothing. 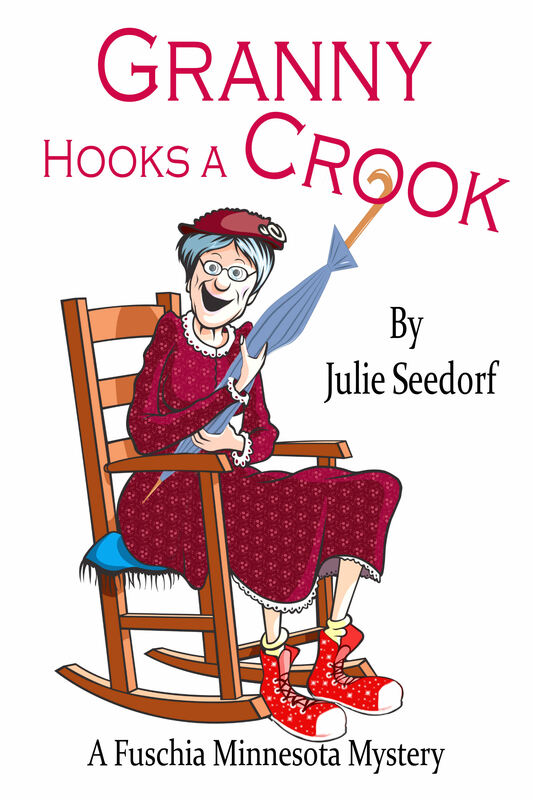 I have a book published by Cozy Cat Press titled “Granny Hooks A Crook.” I have a self-published book called “Whatchamacallit? Thingamajig? I also write free-lance for a few newspapers. Because I read and because I write, I write reviews and comments about books and articles that I like and dislike. Because I write, I receive comments and reviews from people who like my work or don’t like my work. When I review a book I have to look at it a couple of ways. Do I not like the book because it is a subject, or the kind of story I usually do not read? Or do I not like the book because of its profanity and violence? Or do I not like the book because it is poorly written? I very seldom, after reading a book give it a 1 or 2 star review because most of the time, if I don’t like a book, it is because it is not the genre I like to read. I download many free books so I have a varied palette to choose from. Is it fair for me to give a bad review simply because it isn’t to my taste? If I love a book I can get carried away by that, love but I have to tone myself down to make sense and have others take my review seriously. As a new writer I realize it takes a thick skin to weather reviewers and those that aren’t always kind to your written works. As I was reading a review of “Granny Hooks a Crook” this morning on Goodreads, I could not fault the reviewer. “Granny Hooks A Crook is not for everyone. Most of my reviews have been very good but this reviewer did not like the book because she thought it was too silly. It is silly. It is a book about a fictional Granny that gets into a lot of mischief. I wrote about Granny this way because many people who are older feel that life is finished for them. I am sure you know people like this that are in their 60’s, 70’s and 80’s that never go out after dark, stay in their routine and do not try anything new and generally are very sedate. When you meet these people, occasionally you believe they are older than they are because of their attitude. There are others that are the same age, and if they told you their age, you wouldn’t believe them because they are witty, happy, involved and busy, even if they have physical problems. They seem to have a skip in their step even if the steps they take are with a walker or a cane. These seniors are always up for trying something new. This is who Granny is, a senior always up for something new and always using her imagination. Granny is an exaggerated character, although my mom at 90 could have given Granny a run for her money. The only thing my mom didn’t do was chase crooks. We, as writers, have to remember that we have no idea where a person is in their life when they leave a comment. I don’t like history. I don’t like gore. I don’t like bad language. Recently on a visit to a book store a clerk pointed out a book to me that she thought was fantastic. It probably will be on the best seller list eventually. I would not like it and probably would only give it three stars because of all the gore and swearing in the book. That is my taste. It could be a New York Times best seller but it wouldn’t be for me, so my review and comments would not be raving. As writers, we need to write what moves our creativity and not worry about reviews and criticism. Yes, we have to sell books but not at the expense of changing who we are. I could write a biography, a history book, a how to book and they might sell well. If I wrote a book such as this, it would not be a labor of love. It wouldn’t stir my heart like a human interest story would, or a tale about an animal or a funny, silly mystery that makes people laugh. Yes, Granny might not enthrall everyone but those who want a little silliness, a little fantasy, a little humor and a break from the gloom and doom of the real world might love Granny. I do, she is who I want to be when I grow up, tenacious, strong, sassy and at times lovable. Writers, new and old, established writers and those that are still hoping to have their works published, write what you love, don’t give up and when reading reviews of your work, consider the source but then, what do I know, I created Granny and Fuchsia, Minnesota. That tells you what world I live in. Next Do I Read or Do I Write?